‘Tis the season for food drives! 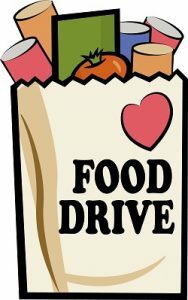 Like many food banks and food pantries, Tri-Lakes Cares is entering the hectic season of food drives when community groups and individuals collect food for our pantry. With your support last year, our pantry distributed over 200,000 lbs of food through the various programs! We are so grateful for the generosity of so many BUT sometimes the items donated are not always the most useful or the most needed to stock our shelves. 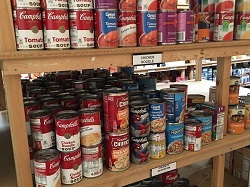 Visit our Current Pantry needs page to see what is most needed: Pantry Current Needs You can also call Michèle, our Food Programs Manager to inquire about specific needs at (719) 481-4864, ext 111. She can also provide you with collection bins for smaller drives and answer any questions about donating food. Large packages or cans are great money savers for the buyer BUT unless a family has 10 members or more in the household, these large sizes are impractical for our food pantry. We are not set up to break down large bags or boxes of beans, rice, flour or other staples (10 lbs or larger) and typically we send them to the Marian House Soup Kitchen on our Friday morning bread runs. Avoid baby food. Believe it or not, there is little demand for these items. Most families that have infants or small children benefit from the WIC program (Women Infants and Children nutrition program) which provides them with infant formula and baby food. Most of our client families have older children and the occasional donations we receive of baby food are sufficient to meet the needs. Exotic foods. Ever y food pantry receives those odd ite ms (usually left over from gift baskets) like canned oysters, wild game, oddly flavored coffees or condiments, strange vegetable combinations, etc. 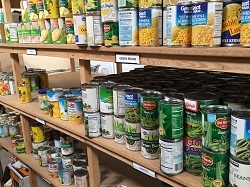 These items can be donated – paying attention to “best use” by dates (more on that in the next bullet) – but often they will remain sitting on our shelves as long as on your own pantry shelves. What about those “best use by” dates or “sell by” dates? Believe it or not, these are not required by federal law (according to the USDA website), except for on infant formula. Dates are provided by manufactures to help consumers determine the best quality and time of consumption of food products. There is a lot of confusion revolving around these dates, but a good rule of thumb to follow is within one year of the date stamped on the can or box is acceptable. Anything older than that, we will not be able to use. Watch out for those dents and broken boxes! Please do not donate cans that are sever ely dented, boxes that are torn or open, or any open or started food items. We will just have to dispose of them. Consider nutrition value. A large number of the clients we serve are senior citizens, who are struggling to make ends meet. Items such as gluten free, low sodium and low sugar can be in demand, but if we don’t have it on our shelves, it makes it difficult to meet those needs. Shop “Buy It Forward”. Once a month on the first weekend of the month, the King Soopers on Baptist Road offers pre-packaged bags of the current month’s grocery items needed for our pantry. When you do your own grocery shopping, add a “Buy it Forward” bag to your cart. The bags are collected and picked up by a volunteer and delivered to Tri-Lakes Cares. It’s easy and doesn’t require any extra shopping on your part. Donate! Believe it or not, your financial contribution can be stretched further through the buying power we have with Care & Share Food Bank, where we can typically pay 19 cents per pound for food. Your $25.00 could purchase 132 lbs of food and other items; or support other needs in the pantry. Click on the big “Donate Now” button at the top of the page to make a contribution today! However you choose to support us, our most heartfelt thank you!